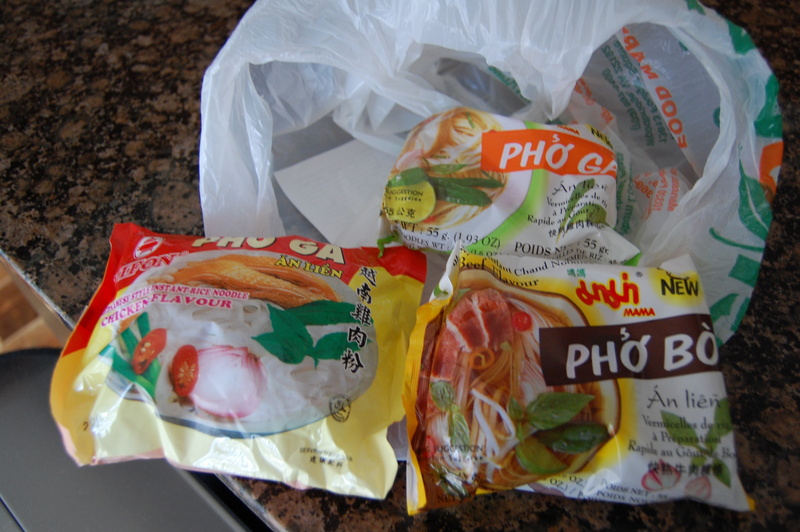 My first choice when available is homemade pho, my next is Pho Royal if in Loudoun, but sometimes I just can’t get myself to whip out the stockpot and others I refuse to schlep it to the restaurant. What to do? What to do? Dear readers I’ve subjected myself to many an instant pho in search of something doable in a pinch and not all instant pho’s are not created equal. I tried Mama, Snapdragon, Assi, and Vifon. I tried to find Trader Joes and Oh Ricey but those will have to be follow ups if I ever do find them. 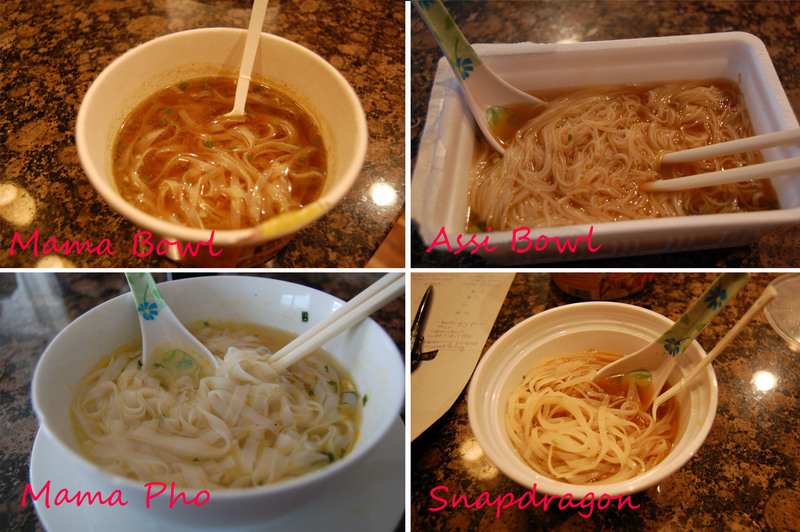 My criteria for tasting was: taste (T), smell (S), noodle quality (N), and broth (B) on a scale of 1 to 10, 10 being awesome. QUICK VIETNAMESE LESSON: Pho (beef noodle soup) pronounced “fuh”, Bo (beef) pronounced “baw”, Ga (chicken) pronounced a quick “Gah”. Now you know three new Vietnamese words! Woot. Without further ado here are the brands in order from best to worst. Dare I say tasty? Not too shabby Vifon, although the noodles weren’t spectacular and I could have done without the chicken bits this was all in all very doable in a pinch. NOTE this will never ever replace the real deal but this was the best of the bunch. I’m a fan of Mama Tom Yum Ramen but I was a bit skeptical of a Thai company doing Vietnamese Pho (even though ramen is Japanese…) It tasted a lot like bouillon. The pho smell was very faint. 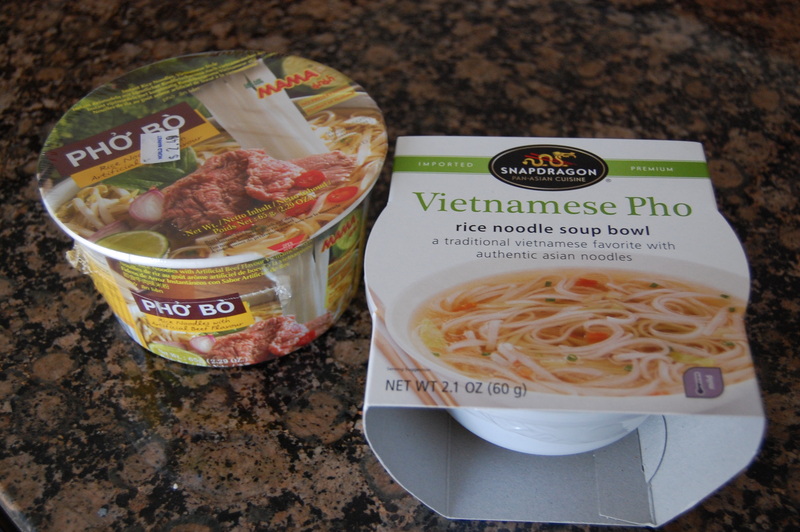 I tried both the package and bowl versions and the beef and chicken (let’s practice – bo and ga). No real preference either way but the bowl did have a cute fork but no spoon I guess they expect you to slurp it like a savage. With a hit of hoisin it makes it more palatable. Ok well, this scored lower than the last place but in its defense I’d eat this before I’d eat the last place instant pho any day. 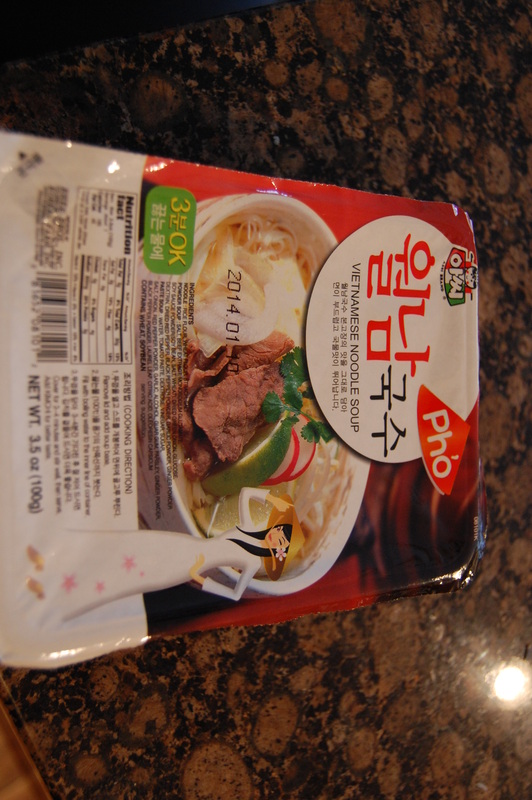 Koreans love pho but they should leave the pho making to the Viets. This totally tasted like an extra salty kimchi ramen bowl with vermicelli rice noodles in lieu of ramen. The good-it came with a handy top, smelled the most like pho, and had the best noodles. The bad-the seasoning packet smelled really funny. Despite the amazing aroma the broth was chemically, sweet, and bitter. Not edible. There you have it folks. Don’t replace your regular pho dose with instant but when you’re jonesin and too lazy to make it or go out keep some Vifon in the pantry. Thank you for doing this review. Yours was one of the most well-rounded and informative that I’ve found. Apparently the Vifon Pho Bo (thanks for the pronunciations btw), is very hit or miss for people. Some people say it’s awful and others think it’s better than most. I just ordered a case of 30 bags from Amazon so we’ll see!